Yosemite National Park (circa 1916) ignited the passion of two of the most influential voices in the conservation movement. A college student and part-time waiter, Ansel F. Hall would join the newly formed National Park Service and rise through the ranks to become the first Chief Naturalist and Chief Forester. The man who would become America’s iconic and most famous wilderness photographer, Ansel Adams, was only a teenager. 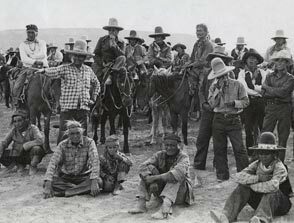 Points of Inspiration is an account from the families of Ansel & Ansel and a tribute to their legacy of adventure, innovation, preservation, and interpretation of wild America. 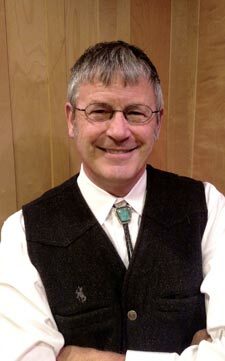 The story is told by Ansel Hall’s grandson, Jack Turner, a world traveler, speaker, and television commentator. 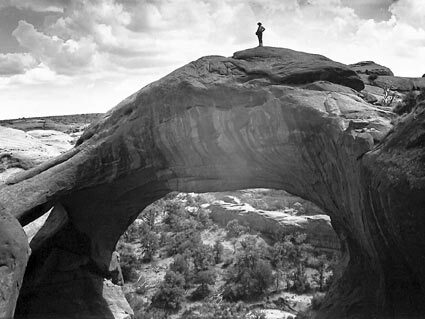 His book, Landscapes On Glass won first place in the Colorado Book Awards for his pictorial documentary about historic lantern slides and the six-year mission of Ansel Hall’s Rainbow Bridge / Monument Valley Expedition (1933-38). Jack was elected to The Explores Club in 2016. This presentation includes fascinating personal stories, historical images, photographs, and important events that shaped much of America’s commitment to the environment and conservation. 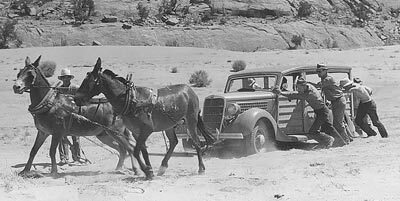 It’s also a story of adventure, struggle, determination, ingenuity, and amazing circumstances that still impact the National Park Service and all public lands. Ansel Hall and Ansel Adams had more in common than their first names. They were born at the turn of the 20th century in the San Francisco Bay area and survived the great earthquake of 1906. 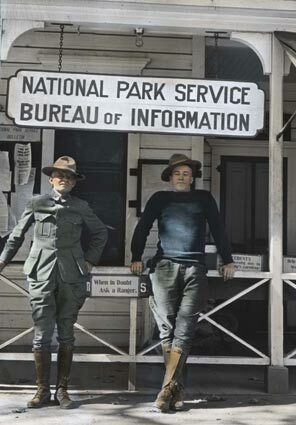 Both were just teenagers when they first visited Yosemite Valley, an event so inspirational that both men would find a way to make the national park a focus of their livelihood. Ansel Hall graduated with the first forestry major offered by the University of California Berkeley in 1917, one year after Congress authorized the establishment of the National Park Service. 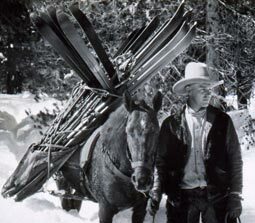 He was hired as a backcountry ranger and assigned to Sequoia National Park before shipping off to serve the U.S. Army in World War I. Upon returning from the war in 1919 he was reassigned to Yosemite. 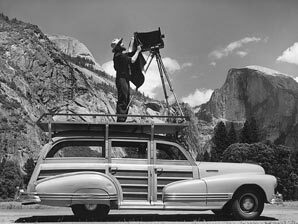 When Ansel Adams was 18 years old he joined the Sierra Club and spent the first of four summers in Yosemite Valley as “keeper” of the club’s LeConte Memorial Lodge. He was an aspiring classical pianist with the intent of playing professionally. 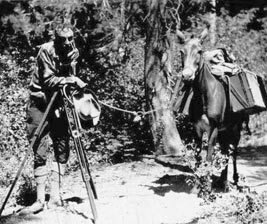 It was during this time that he began experimenting with his Brownie box camera during his frequent explorations of the Yosemite Valley and the backcountry. Their paths crossed when Ansel Adams met Park Ranger Ansel Hall and inquired to the possibility of a piano somewhere in the area. Hall introduced Ansel Adams to Harry Best, a local artist who had a piano in his studio. Mr. Best also had a daughter, Virginia, who would eventually marry Adams. She would be his anchor to the park and their family, and supported him during the uncertainty of his early pursuit of professional photography. In the ensuing decades, both would be on the front lines to preserve and interpret America’s wild places. 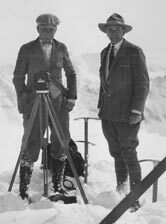 Ansel Hall would affect change from within the National Park Service, developing everything from the Bureau of Information to the first museums. 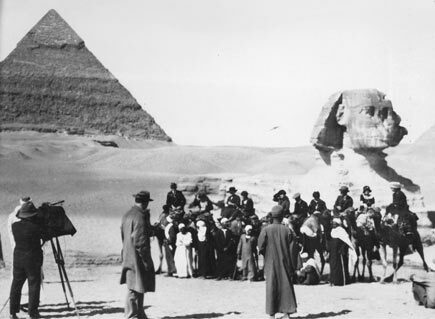 He organized numerous field studies and expeditions in the United States and abroad. Ansel Adams’ photographic images became the symbols, the authentic icons, of wild America. He was an unrelenting activist for the cause of wilderness and the environment. Over the years he attended innumerable meetings and wrote thousands of letters in support the conservation movement on behalf of the Sierra Club and Wilderness Society. He lobbied colleagues, government bureaucrats, and politicians, but his greatest influence came from his photography. Their journeys took them across America and overseas in times without jet travel and modern conveniences. From the Big Sur Coast to the Great Pyramids of Egypt, from Washington, D.C. to Utah’s Monument Valley, Ansel and Ansel traveled paths like no others before them. 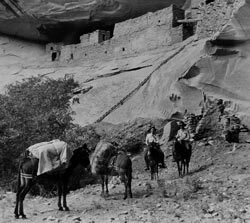 Their legacies are honored many places including the Ansel Adams Wilderness Area (CA), The Ansel Hall Indian Ruin (Dolores, CO), and even a dinosaur species (Segisaurus Halli) discovered during the Rainbow Bridge / Monument Valley Expedition. All photography courtesy of Ansel Adams and Ansel Hall families. All rights reserved. Reproduction and/or distribution is not permitted without written authorization. Ansel & Ansel ©2016 Jack Turner – All rights reserved.